With October upon us and a heavy fog looming over San Francisco today, it is safe to say that autumn is truly upon us. I personally love autumn. It has always made so much sense to me that the Jewish new year takes place at the beginning of autumn; school starting and the briskness in the air smacks of new beginnings. I am finding myself immersed in new projects and plans and feel life revving up again after the laziness of the summer. Which isn’t to say that I didn’t have a great summer! I got a chance to visit places old and new and spend some much-needed time with family and friends. I also tried to take a lot more photographs. One thing I’m really good at is going somewhere, camera in tow, and not taking a single picture. Not this time! So for the next couple of posts I want to try something new and share with you these experiences more heavily in photos than in text. For one, I have a lot more photos to share, and for another, my tales of meeting up with family at a car show and my annual girls’ camping trip are probably not super. 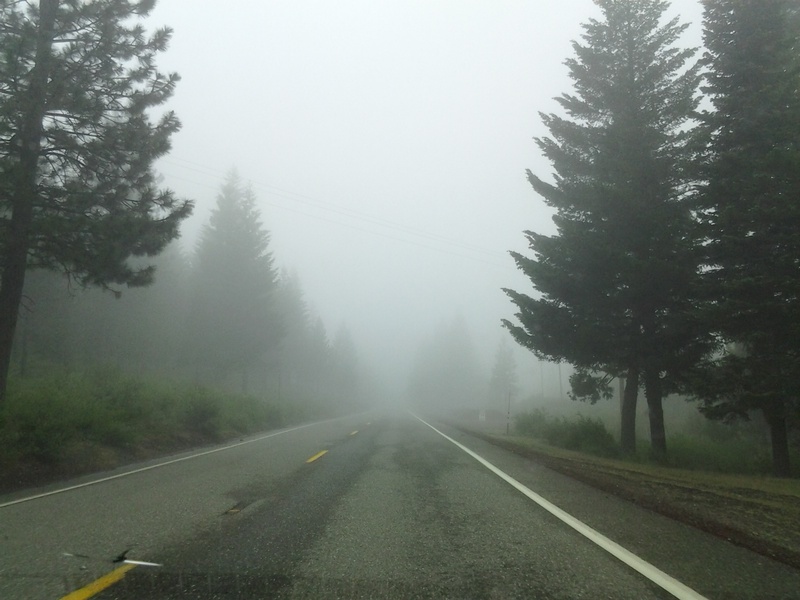 On the last day of my epic road trip with my boyfriend Zac back in June, we visited a truly weird and magical place: Lassen Volcanic National Park. 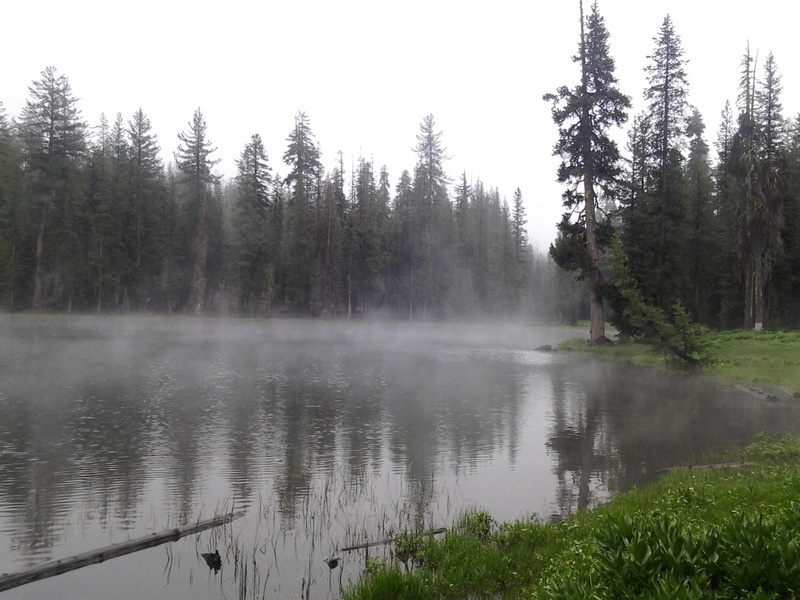 Why is Lassen so special and unique? It is filled to the brim with crazy volcanic activity, is home to the largest plug-dome volcano in the world, and includes all four types of volcanoes within it’s boundaries. In the summer it can get very crowded, but back in early June when we made our visit it was just awakening to the summer season. 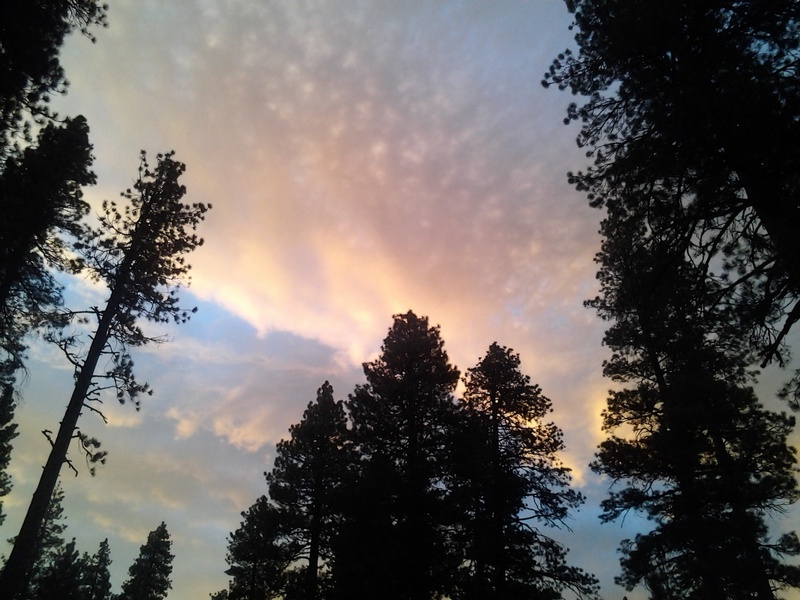 It’s a huge park, and throughout the park there are various geothermal “sights” that one can drive to or hike around and see, as well as the immense Lassen Peak and various lakes and natural areas. 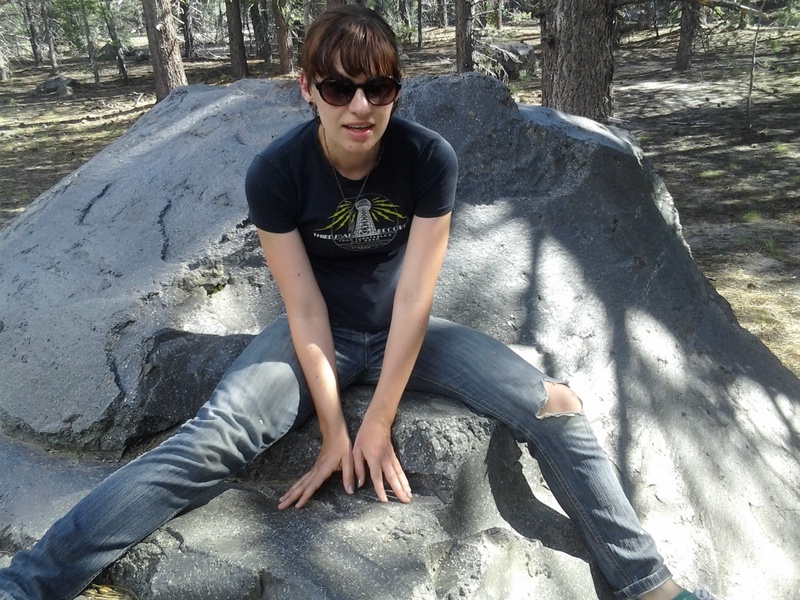 It was mid-afternoon when we drove into Lassen, and the first sight that we saw was “Hot Rock”. It isn’t hot anymore, but it sure was when it dislodged during a volcanic eruption in 1915 and tumbled down the hill. 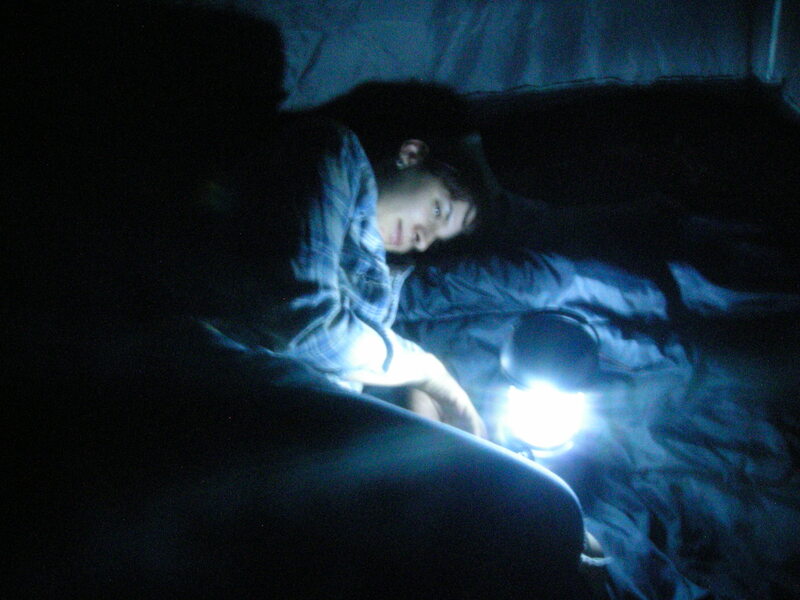 That night we camped at Butte Lake, at the Northeast part of the park. It is one of the few campsites in the park that accepts reservations, and although I was worried it would be crowded it was very quiet. 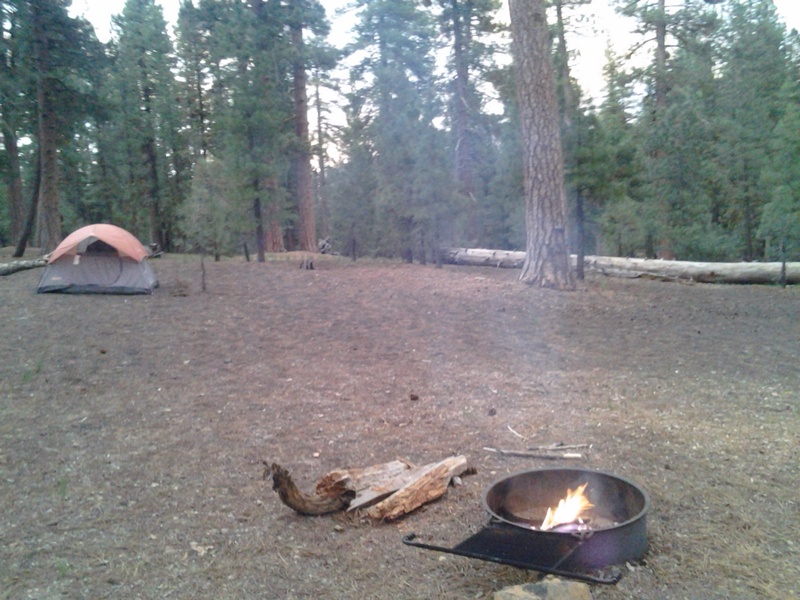 After a freezing dip in the lake, we set up camp. The next day, we were startled to wake up to gloom and rain. 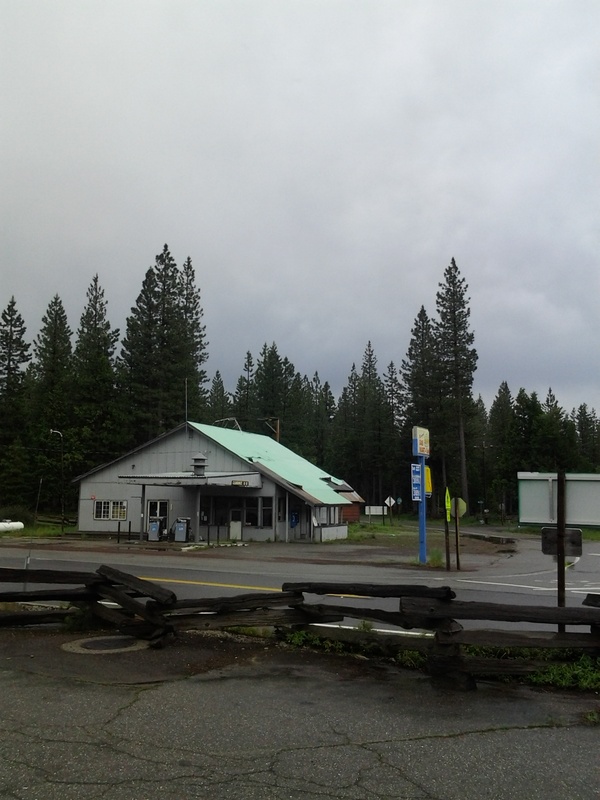 Apparently June is not quite summer in Lassen! 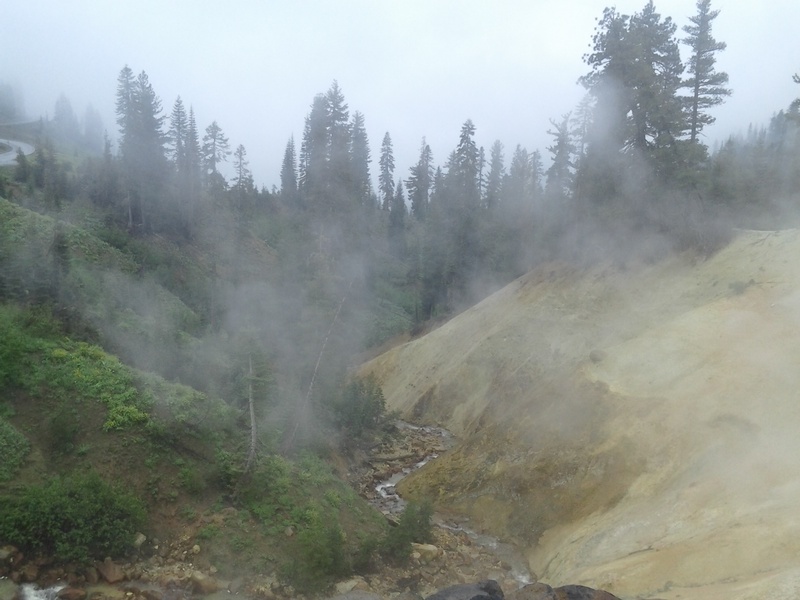 Because of the volcanic activity, many of the lakes and springs are hot. It was cool to see the steam rising off them in the cold air. 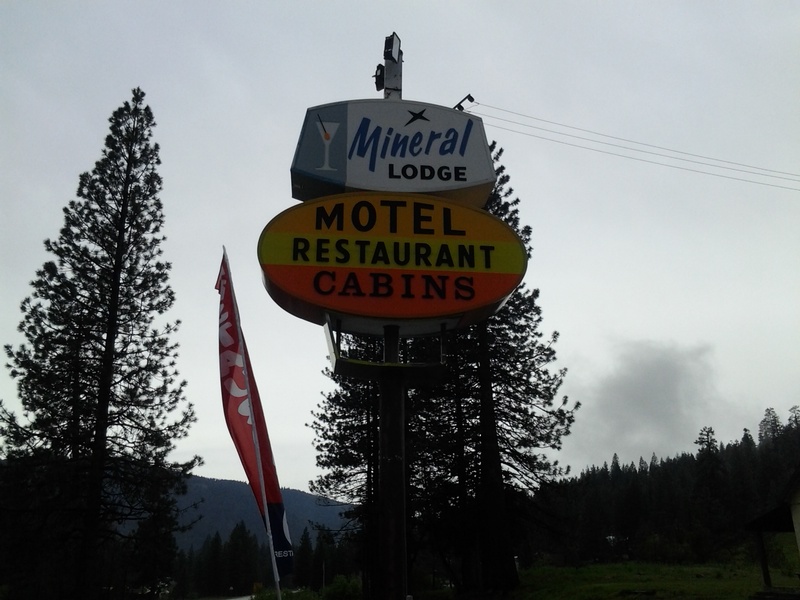 We drove through Lassen, thinking we could still at least check out the famous sights. 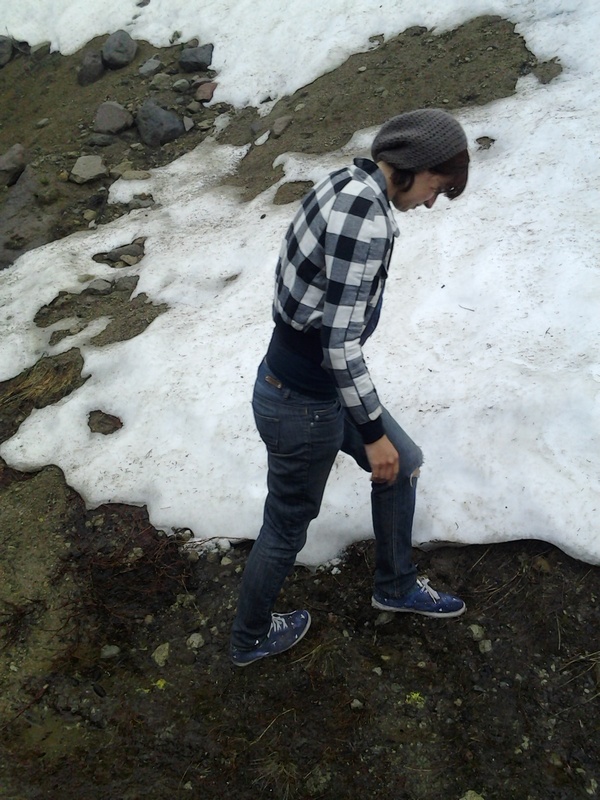 We didn’t anticipate the high elevation – or the increasing amounts of snow the higher we drove. I know it’s dirty, but I had to play in it! 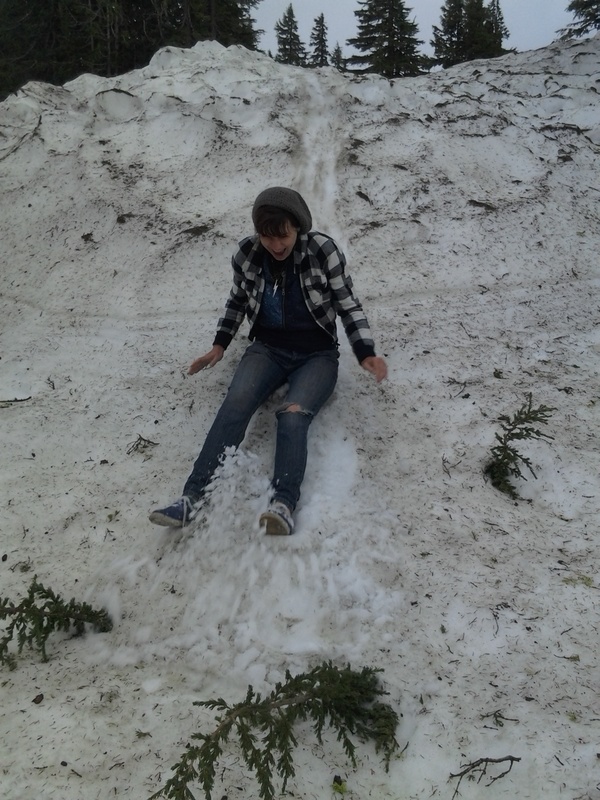 I’m from LA, I never get snow! This photo was taken on June 10, 2013. This. Much. Snow. 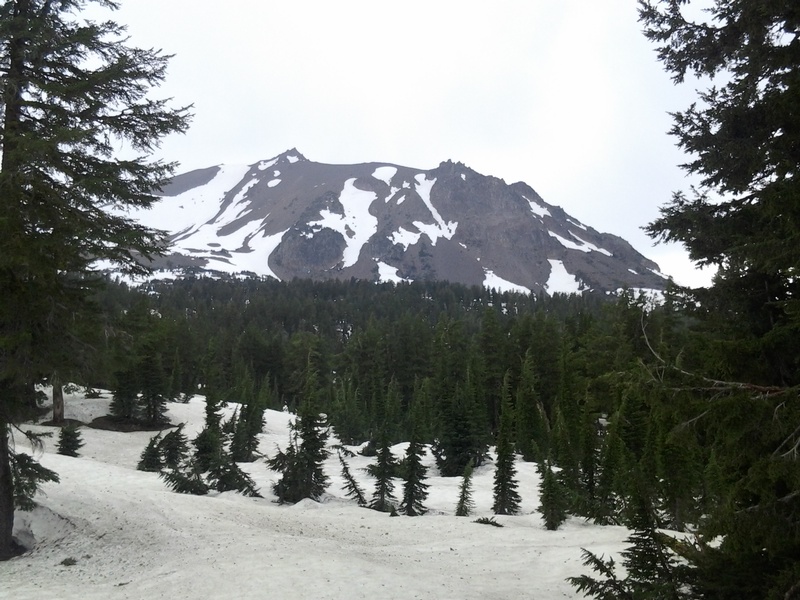 Some of the sights, like the famous “Bumpass Hell”, were closed due to snow blocking the path. 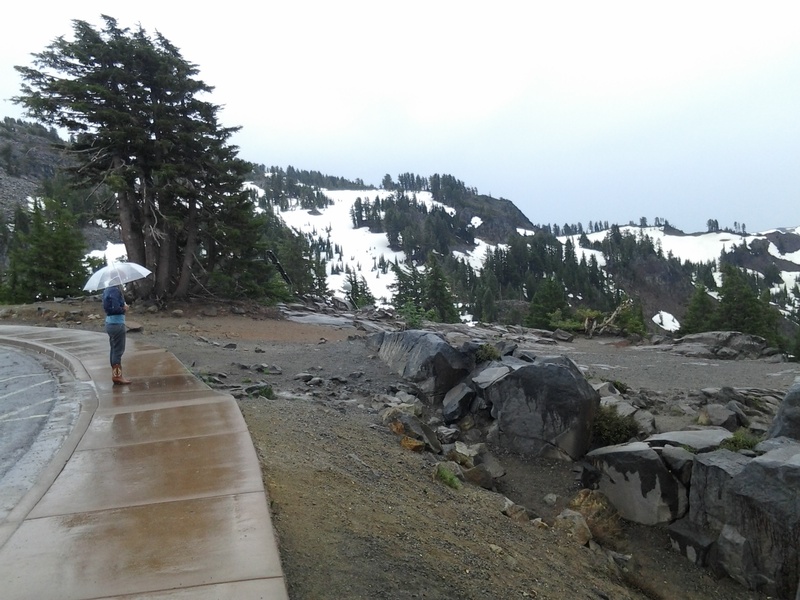 That’s me under the umbrella, contemplating life in the parking lot to Bumpass Hell. One cool thing that we did get to see was the “Sulphur Works”. 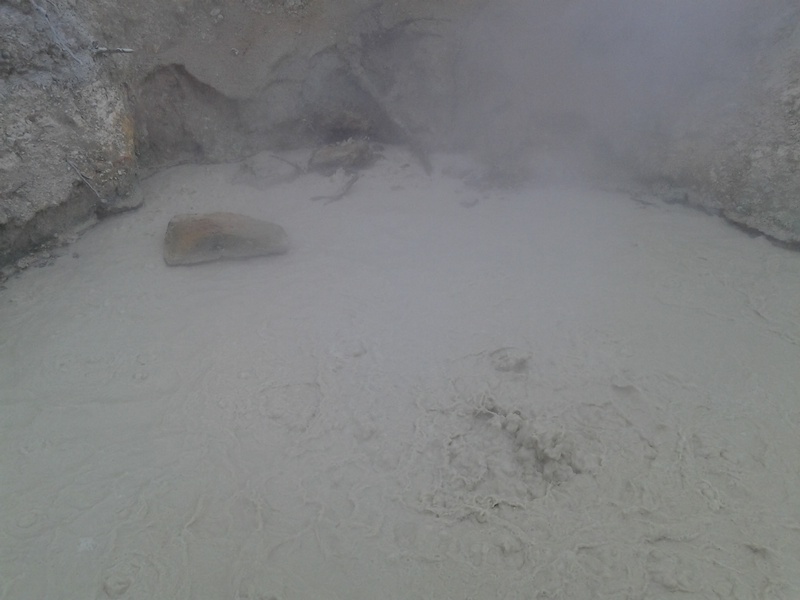 As you can imagine, the hillside at the Sulphur Works is yellow and has the odor of rotten eggs, but it also boasts two fascinating geothermal features: fumaroles (steam vents) and boiling mudpots. 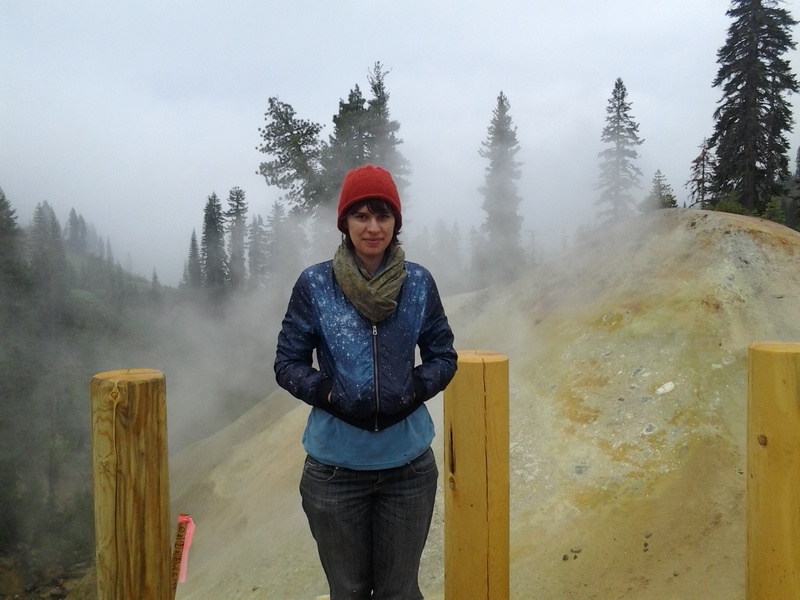 Being there felt very strange and otherworldly, like if you went into the mountains you would find the gateway to Hell. After bidding a fond farewell to Lassen National Park, we made a brief stop in the tiny town of Mineral to mail some postcards. 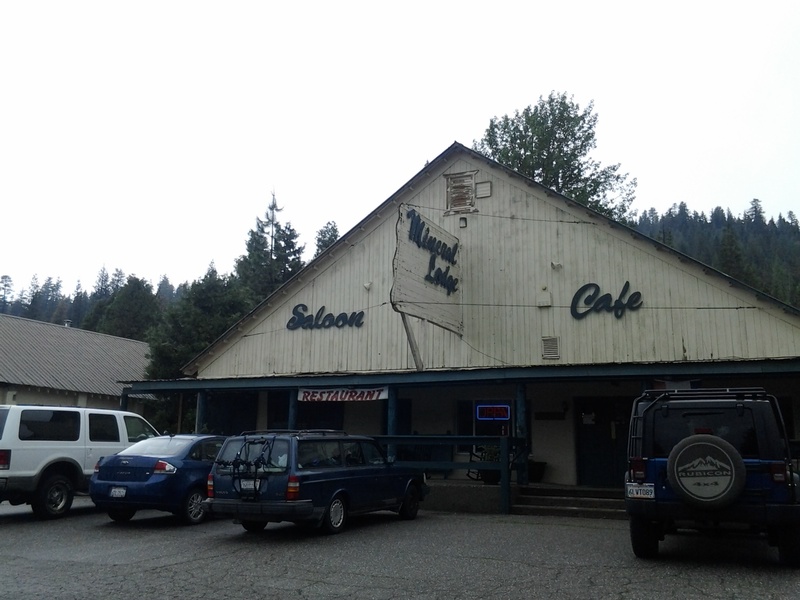 I liked the campy facade of the restaurant there and the falling-apart gas station. And that, children, concludes the adventures of the traveling Mo and her faithful sire Zac as they traversed the unknown of the Sierra Nevadas. As always . . .